From straight rails to sweeping staircases, there is no job we can’t do. When fitting residential handrails in London, our innovative team use the latest technology and collaborates with you for the ideal results. After we have met with you or your architect, we will scan the metal work and produce a 3-D image. This data will give the exact measurements we need to design the new handrail. Using the same CAD technology, our skilled designer will produce a 3-D design of your desired handrail. This image is shown to you for approval and then sent to our partners for construction. Once the new handrail has been delivered, our expert team will come on site and piece it together. We work tirelessly to provide an immaculate finish that you can be proud of. All of our handrails are bespoke, so the design is up to you! Crafted Handrails is proud to offer metal work handrails. 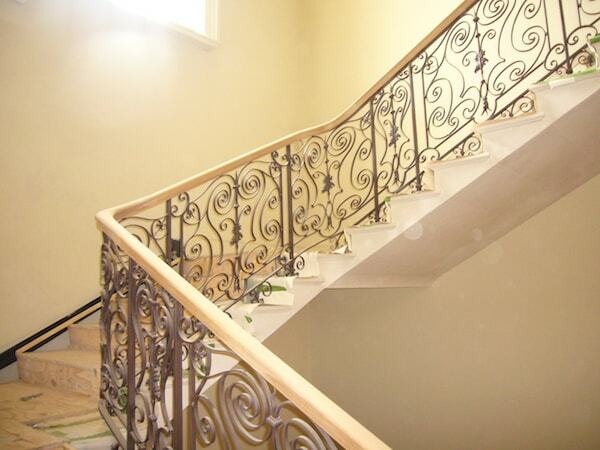 These residential handrails in London can be fitting using similar technology and are custom-made. If your current handrail is looking a little weathered or is in need of modernising, then we can have it looking brand new! Renovating an older handrail is done with the same modern, committed approach. Firstly, our team will discuss your goal and then get to work on beautifying your handrail. Design Your Own Bespoke Handrail. Get a quote or meet the team.